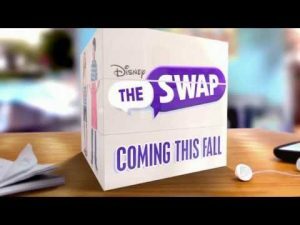 “The Swap” will premiere on Disney Channel on October 7, 2016, as a part of the network’s annual “Monstober” event. Peyton List (Disney Channel’s “BUNK’D”) and Jacob Bertrand (Disney XD’s “Kirby Buckets”) star in the upcoming Disney Channel Original Movie “The Swap,” premiering Friday, October 7th at 8:00pm ET across Disney Channel’s multiple platforms including Disney Channel, the Disney Channel app and VOD. Part of Disney Channel’s Halloween-themed “Monstober” programming event, “The Swap” is a comedy adventure that follows two teens on a quest to reverse a mysterious event that caused them to swap lives.